It was raining last weekend in NYC and HOT! What better than to throw on a Barbara Bui 3/4 sleeve rain coat with J Brand cut-off's, See by Cloe T-shirt, Dolce Vita wedges, and a loose braid. 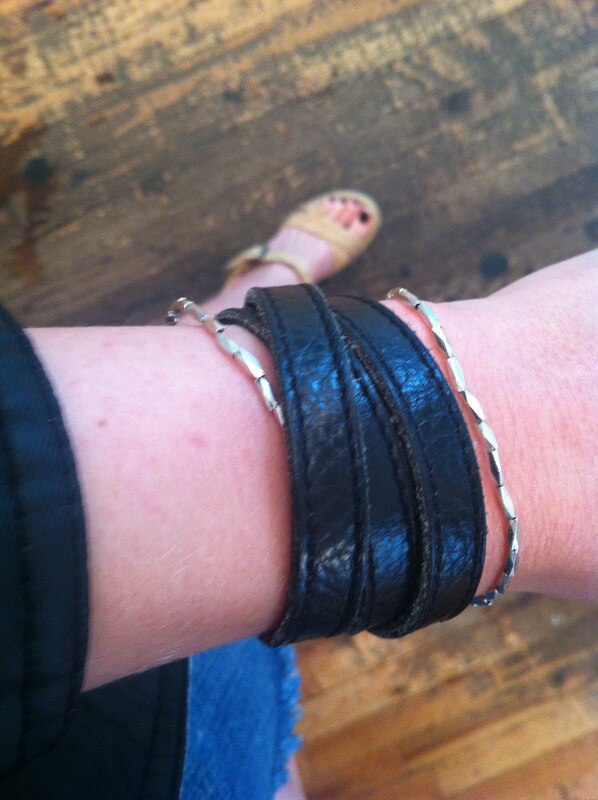 Leather wrap cuff from Gap and Silver bangles from Satya! Luckily, I'm in LA this weekend and soaking up the gorgeous weather with friends! Hooray for no rain. I love your outfit...LOVE IT!!! love the wedges! i live in nyc so i suffered from the random rain this past week too :( got soaked SO many times.